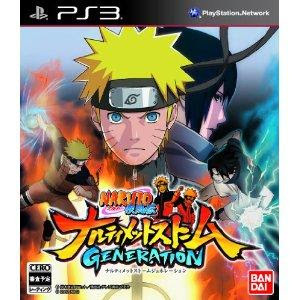 Developed by CyberConnect2, NARUTO SHIPPUDEN: Ultimate Ninja STORM Generations (not yet rated) is the latest rendition in the smash hit ‘NARUTO SHIPPUDEN: Ultimate Ninja Storm’ series of games. The title will power the series into the future by revolutionizing online play and ramping up the number of playable and support characters far beyond any NARUTO game in the wildly popular franchise. Players will compete in a variety of online battle modes with their favorite NARUTO characters, including Naruto and Sasuke. NARUTO fans have been waiting to see more of Zabuza and Haku since the launch of the original Manga, and now they will have their chance! These are just a few of the many new ninja in the game. All this, together with the original Japanese voiceovers and lovingly crafted presentation faithful to the NARUTO franchise ensures that NARUTO SHIPPUDEN: Ultimate Ninja STORM Generations offers NARUTO and gaming fans a torrential downpour of NARUTO ninja fighting action and adventure! Copyright © PSP, WII, PS3, NDS, XBOX360 GAMES DOWNLOAD(JPN) All Rights Reserved.